WWE Hall of Famer “Mean” Gene Okerlund, a legendary wrestling announcer, interviewer and performer, has died at the age of 76. WWE announced his passing in a statement on Wednesday, Jan. 2. 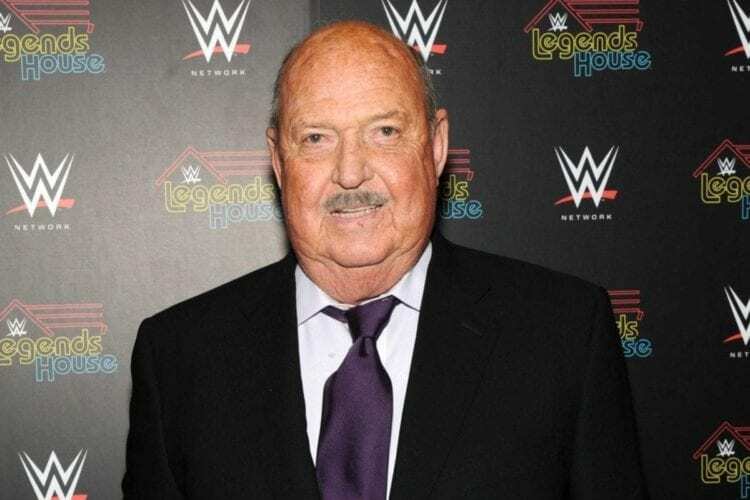 No cause of death was made public immediately, but Okerlund’s son confirmed the news and revealed that his father had undergone three kidney transplants in the last few decades. He also mentioned that his father’s health had declined even further after suffering a fall a few weeks ago. After starting his career in local broadcasting, Okerlund rose to fame primarily as a WWE announcer and interviewer. He was inducted into the WWE Hall of Fame in 2006. He was known for having a gentlemanly and courteous disposition while interviewing loud-mouthed wrestlers before and after matches. Wrestling being the art that it is, he also made some appearances inside the ring as a wrestler. The nickname “Mean Gene” was reportedly given to him by former wrestler-turned-governor Jesse “The Body” Ventura. The nickname was in jest because Okerlund was considered one of the friendliest people in wrestling. Okerlund, a Florida resident, is survived by his children and long-time wife, Jeanne, who was reportedly by his side at the hospital when he passed.